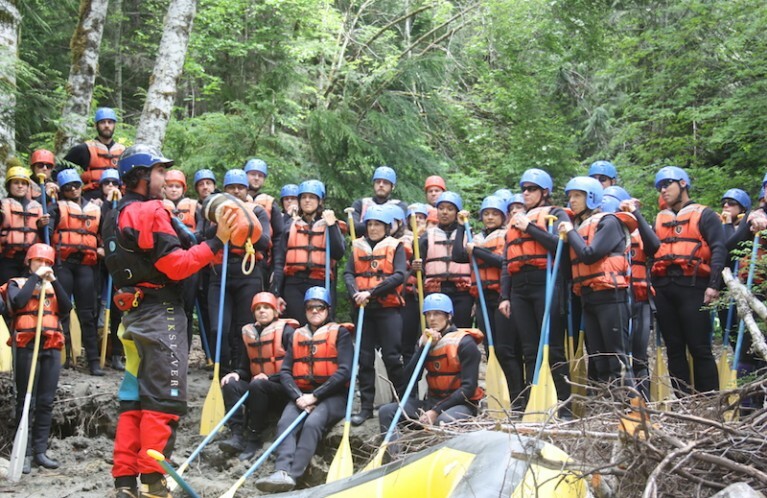 We’ve helped connect thousands of adventurous people with the incredible rivers found near Whistler each and every year since we started rafting way back in 1992. There’s something truly magical that happens on our rafting trips. It’s called a flow experience. It’s the secret to happiness. Fellow adventurers comment most on two things … their safety and experience. Your safety is of utmost importance to us … it’s always at the forefront. At the same time, we treat all our guests as VIPs. Our guides share of themselves and their knowledge and they remember that this adventurous vacation is about you and your experience on the river. They’re patient with the same question they’ve heard a million times, helpful to the biggest klutz on the trip, and they anticipate your concerns while routinely catering to your comfort on the river and back at the base. They are musicians, storytellers, jesters, professors, wonderful cooks, best companions, and of course, excellent river guides.